Notes: Ansley Village is located in North Macon @ Zebulon Road & I-475. Excellent access and tenant mix. Signalized entry. Tenants include: Bass Cleaners, Lee Nails, Kinetix Health Club, with a mix of Medical including a dental clinic and Life Line Home Health Care. 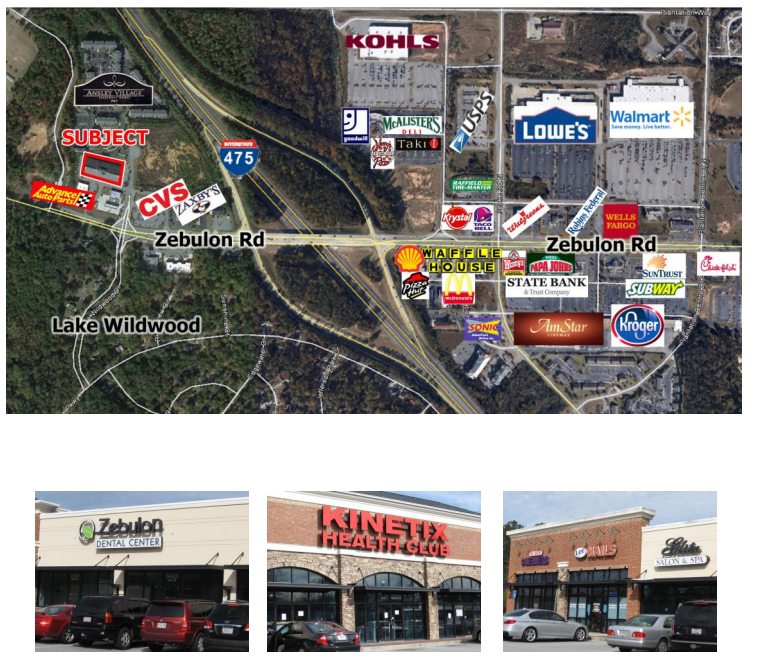 Neighbors Include: Advanced Auto, CVS, Zaxby’s, Ansley Village Apartments (300 units), Lowes, Wal-Mart, Kroger, Kohls, McDonalds, Amstar Cinemas, and Walgreens. *Tenant pays utilities. Trash and water included in CAM.